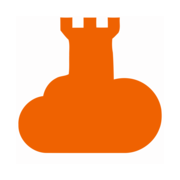 CASTLE is a tool for researchers and industry to test, play and develop over different standards, directly from the cloud, remotely and without installing any software or requiring dedicated hardware. With CASTLE, it is possible to transmit and receive waveforms of different standards over the air and process them locally or remotely. CASTLE is offered as licensed service (free, trial or paid) to CTTC staff or industrial partners via licensing system. CASTLE aims to be the tool where the researchers can develop their own algorithms without the need to implement, modify or extend the standard. CASTLE does it for them. CASTLE provides primitives that interface with different procedures. Researchers can use from top level primitives (such as waveform generation) to bottom level primitives (such as modulators). First, researchers construct their particular scenarios, generate and process waveforms, obtain metrics and analyze results. Researchers do not have to pay attention to standards’ issues. CASTLE offers an API in MATLAB and C++. For Windows, Linux and OSX. CASTLE also allows the management through web interface, inspired in OpenStack. * Develop new enhancements to improve current standards. * Use standards as benchmarking to their researches. * Test standards’ performance under new scenarios. * Analyze standards’ response to new channel models. * PHY Layer Abstraction to interface with upper layers. * Plus all tools for industry. * Obtain waveforms [over the air] of different standards. * Examine CTTC’s solutions using standard procedures. * Construct their own scenarios. * Complete access to intermediate signal processing blocks. * No critical code is delivered. * Test and measure standards over the air through dedicated hardware. The external access is achieved by means of life-limited license granted by CTTC. With this access, the researcher can use the Test Bed remotely by the web interface and/or the use of an API, which interfaces between the researcher’s local machine and remote CASTLE Test Bed. The communication between the researcher and the CTTC is ciphered using a 128-bit AES standard. * Single powerful platform that provides multi-standard validation. * Hardware & Software multiplatform architecture (Windows, Linux and Mac OSX). * It is a tool which implements different standards: LTE-A Rel.12, Broadband Global Access Network (BGAN), Visible Light Communications (VLC). * All PHY stack of LTE and BGAN. * Remote management and interaction. * Supports MIMO in LTE and BGAN via simulation or emulation. * Open API to manage the remote connections, in C++ and MATLAB. * Allows to debug any intermediate signal processing block to embed own algorithms. * Opened interface to upper layers. Primitives to be called by MAC layer. * Flexible modification of standards’ parameters. * Easy reconfiguration and on-fly reconfiguration.